In 1991 the Environmental Protection Agency (EPA) published a regulation known as the Lead and Copper Rule (LCR). 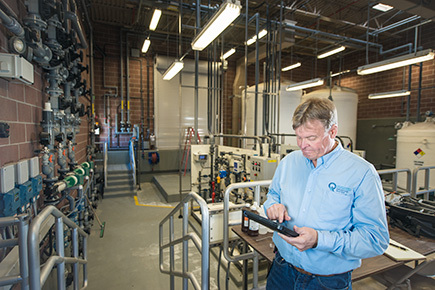 The LCR established a requirement for public drinking water systems classified as either community or non-community non-transient to routinely monitor for lead and copper. EPA sets action levels that trigger additional actions by public water systems if over 10 percent of the faucets sampled exceed these levels. Also identified in the LCR are action levels for lead and copper. An action level is a threshold above which a water system must take steps to ensure safety and protect public health. For lead and copper, the action level is deemed to have been exceeded when more than 10% of the samples tested during a collection period show concentrations at or above the 15 ppb for lead and 1300 ppb for copper and is called a 90th percentile exceedance. 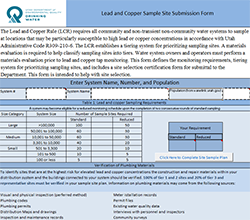 Develop, submit, and maintain an LCR Sample Site Plan. Find out how, when, and where to collect and submit lead and copper samples. Learn how to use the results workflow chart. Find out about public communication requirements. Find all Lead and Copper forms and templates.